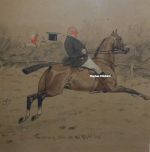 The G.D. Armour prints for sale below represent a small selection of the many George Denholm Armour Hunting, Racing, Polo, Fishing and Military pictures available. If there is anything in particular by artist GD Armour that you are looking for please contact us on 07889 800857. George Denholm Armour was the son of a cotton broker, a keen hunting man who regularly hunted with the Lanark and Renfrewshire and from whom G.D. inherited his interest. The early part of his life was spent in Liverpool, he then went to school in Fife and then to art school in Edinburgh and thence to the Royal Academy of Art in Edinburgh, where he won most of the prizes available. Armour had a studio in London in Fulham Road and his first work was published in the Graphic in 1890. 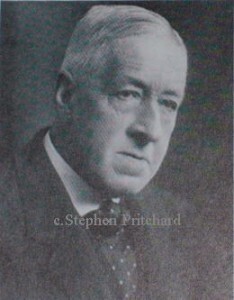 He met Phil May at this time who introduced him to Punch to which he was to contribute for more than thirty five years. Armour was a fine horseman who delighted in buying cheap horses at auction and ‘sorting out’ their problems to supplement his income. 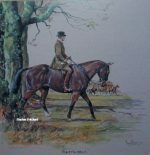 For two years he ran a stud in Hertfordshire with Joseph Crawhall and in 1898 he married Mary Robb and they settled in Chertsey before moving to Devizes, Wiltshire; at that time he regularly hunted with the Beaufort. In 1910 he visited Austria and Hungary to study military horse procedures and also the Spanish Riding school in Vienna. At the beginning of the war he joined the Remount Stables near Southampton and by the end of the war he was Director of Remounts in that area for which he was awarded the OBE. Armours first wife died in 1924 and he married Violet Burton in 1926. For many years he hunted with the Sparkford Vale Harriers and the South Berks Foxhounds. Whilst hunting he carried a sketchbook in his pocket and frequently made quick sketches on the spot wheras at home, his studio was a stable where he constantly had a horse before him for reference. Much of Armour’s work was for illustration in magazines and books, but he also painted some large equestrian portraits. He worked in oil, watercolour, pastel, pen and ink. 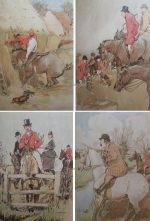 His illustrations show a great understanding of horses and hounds as well as character and charm and display a great sense of humour. G.D. Armour was one of the outstanding artists of his time and he died in 1949.